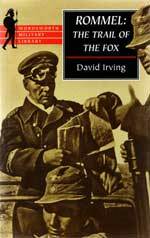 You can currently order direct from author David Irving copies of any of the books listed below. The list is constantly changing, as some titles go out of print, and older titles are reissued in the Focal Point Classic Reissue series. My special price includes shipping anywhere in the world. The charge will appear on your credit card in US dollars as "Focal Point Publications". 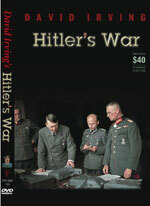 "Churchill's War", vol. i: "Struggle for Power"
"Churchill's War", vol. ii: "Triumph in Adversity"
The film of the book. Originally two VHS tapes, now on DVD. Digitally created from the original master tapes. "Rommel: The Trail of the Fox." To order more than one book or title, simply say so in the email. We'll do the math and let you know before shipping. More titles available soon!